After the initial release several years ago, Estee Lauder’s Sensuous has now become one popular perfume for women. It is especially loved by people who fancy oriental and woody notes. 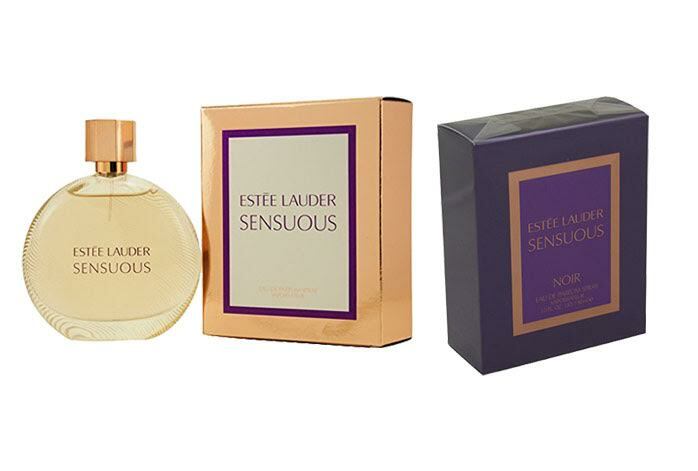 With the success, Estee Lauder was confident when they released a sequel, which they named Sensuous Noir, a few years later. Sensuous Noir is also a great product; however, Sensuous Noir is quite different compared to the original Sensuous. Below, we are going to see how Sensuous Noir is different to the original Sensuous, so that you will be able to determine which one is best for you. Sensuous by Estee Lauder was first launched into the market in 2008. Unlike the company’s previous fragrances, Sensuous becomes a hallmark that moves the company’s traditional floral notes into an opulent, oriental, woodsy concept. It praises the beauty and sensuality of women of any age. The warmth and elegance of this perfume are suitable for both day and night, making it quite a versatile scent. Sensuous opens with smooth and sensual top notes of lily, magnolia, and jasmine. The heart breathes warmth with molten wood and amber. They are all supported by woodsy and sweet base notes that feature sandalwood, black pepper, honey, and juicy mandarin pulp. Ultimate sensuality, rich complexity, and mysterious seduction. These are the aims of Sensuous Noir. Released in 2010, Sensuous Noir is crafted to be a bolder version of the original Sensuous. Sensuous Noir delivers a more intoxicating and more seductive scent, making a perfect night wear. For the top notes, it features the floral blend of rose and jasmine with black pepper and spices. The heart notes focus on warm wooden notes that are the typical of the scent. It merges the notes of pine and guaiac wood perfectly, complemented by lily and patchouli. Meanwhile, the base notes consist of benzoin, amber, and vanilla. Sensuous is a great versatile scent. It tends to be lighter than Sensuous Noir. The woodsy oriental scent is perfect for day wear. On the other hand, Sensuous Noir is awesome for night wear, due to being bolder, richer, and more seductive.